Aspirin one of the oldest and most commonly used medicines, has many potential benefits, and therapeutic properties which have been explicitly stated by the scientists and physicians, as implied by a group of researchers at the Boyce Thompson Institute (BTI). A recent study has reinforced this belief, with a new study providing insightful information on aspirin’s disease-fighting abilities. This study further shows that aspirin’s main breakdown product, salicylic acid, blocks HMGB1, which may explain many of the drug’s therapeutic properties. This protein, HMGB1, is associated with many prevalent, devastating diseases in humans, including rheumatoid arthritis, heart disease, sepsis and inflammation-associated cancers, such as colorectal cancer and mesothelioma, said senior author Daniel Klessig. Researchers at the Boyce Thompson Institute (BTI), in collaboration with colleagues at Rutgers University and San Raffaele University and Research Institute have found that salicylic acid targets the activities of HMGB1, an inflammatory protein associated with a wide variety of diseases, offering hope that more powerful aspirin-like drugs may be developed. 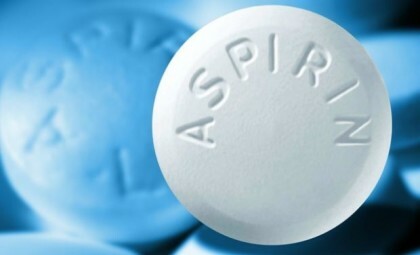 Aspirin’s pain relieving effects have long been attributed to its ability to block the enzymes cyclooxygenase 1 and 2, which produce prostaglandins, hormone-like compounds that cause inflammation and pain, a discovery that netted its discoverer, John Vane, a Nobel prize. However, the body rapidly converts aspirin to salicylic acid, which is a much less effective inhibitor of cyclooxygenase 1 and 2 than aspirin. Nonetheless, it has similar pharmacological effects as aspirin, suggesting that salicylic acid may interact with additional proteins. “Some scientists have suggested that salicylic acid should be called ‘vitamin S’, due to its tremendous beneficial effects on human health, and I concur,” said lead author Hyong Woo Choi. Researchers discovered the interaction between salicylic acid and HMGB1 by screening extracts prepared from human tissue culture cells to find proteins that could bind to salicylic acid. They identified one of these proteins as HMGB1. These screens have also identified a key suspect in neurodegenerative diseases such as Alzheimer’s and Parkinson’s diseases, plus approximately two dozen additional candidates that have yet to be characterized. The study appears in the journal Molecular Medicine.